Another MLL Draft Day has come and gone. With it, we saw (most) of the biggest names in college lacrosse get drafted to the teams they will play for upon finishing school in May. There were some surprises, winners, and losers and I’m here to cover them all. You guys have seen how high I am on Baptiste in the previous posts I’ve written. He is a generational talent and, arguably, the best face-off specialist the game has ever seen. Him going in the top three was no surprise. What was a bit of a surprise, however, was that he went #1 overall to Boston. The Cannons have had success with their previous FOGO, Joe Nardella, but I guess his injury that kept him out of training camp, and will force him to miss the start of the season, was more significant than we originally thought. I had a feeling the Cannons were going to continue to bolster their midfield unit and draft Connor Kelly out of Maryland. But, they took Baptiste and have put themselves in a much better position to win some of those one or two goal games that they lost so many of just a season ago. Cannons’ management saw too many OT losses where they failed to gain the first possession and couldn’t get the ball back to their offense. Baptiste solves that problem. Not much of a surprise here. 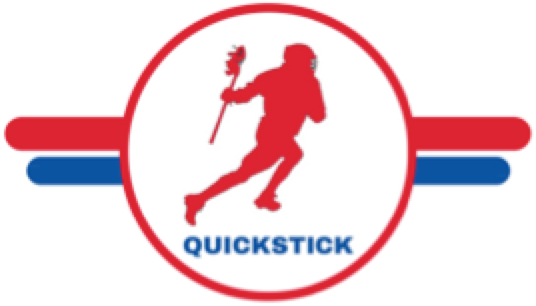 Atlanta has an attack unit with some great chemistry, they just added Matt Gibson in the offseason, so there was no need to mess with that and draft another attackman in Connor Fields. Therefore, Connor Kelly was absolutely the best player to draft here. He adds a lethal outside shot to this midfield unit, and can beat his man one-on-one, causing a defense to slide early. In my opinion, he immediately becomes the most dangerous person in a Blaze uniform. The player that put up 10 points (not a typo) against Notre Dame just a few weeks ago, will soon make his move to Atlanta and lead their offense. Solid addition for the Blaze that needed to nail their pick, and did. With the news that Joey Sankey would start the year on the PUP list, the Hounds knew they had a hole to fill in their attack unit. I would argue they did okay in that endeavor. Connor Fields is a very, very good lacrosse player, and is currently putting up incredible numbers as part of the number two team in the country (sidenote: Albany should still be number one if it wasn’t for a loss to UMBC in which Fields did not play). Fields has carried the Great Danes ever since Lyle Thompson graduated, and now has Tehoka Nanticoke as his partner-in-crime. Between the two of them, they’re embarrassing opposing defenses. On the Hounds, until Sankey returns, Fields will be flanked by former Tewaaraton Award winner Matt Rambo, and Ryan Brown. This offense will be LETHAL, and should, hopefully, improve the Hounds overall record from last season. John Sexton was the LAST pick of the SECOND round. I thought for sure he’d go late first, early second. Dallas got a steal in drafting him at that spot, especially after selecting Ben Reeves with their first round pick. I was disappointed/surprised teams like Atlanta and Florida passed up Sexton twice considering neither have a ton of depth at that position. We saw it in Notre Dame’s game against Virginia, but Sexton has the ability to make game-saving plays in crunch time and would be a tremendous addition to any team. So, again, I was astonished when he fell to almost the third round. The other big surprise, for me, was the Hounds doubling down and drafting Morgan Cheek out of Harvard. They already have Rambo, Brown, Sankey, and now Fields at attack. Isn’t Cheek a bit overkill? Don’t get me wrong, he’s an absolute force, and has the ability to carry his team, but I’d be curious if this becomes a little bit of a “too many cooks in the kitchen” situation. Unless Sankey’s injury keeps him out all summer, then it makes more sense. If not though, it leaves you scratching your head, especially with a somewhat weak defense in Charlotte. Joel Tinney on the Lizards. Rabil. Pannell. Tinney. Sheesh! Tinney is one of the most exciting players to watch in all of college lacrosse. When he’s not perfectly executing hidden ball tricks behind goalies’ backs, he’s stinging corners even with goalkeepers staring right at him. Pairing him next to another Blue Jay in Paul Rabil will be scary for opposing d-middies. I, for one, am incredibly excited to watch them play together. Also, Justin Guterding on the Machine. I mean, I know every team gets a first round pick, the Machine included, but damn, that’s just not fair. This team is already poised to repeat, and now that looks like even more of a reality by adding Guterding. You can argue he is the backbone of Duke’s offense, and it’s clear that snubbing him from the Tewaaraton Watch List was all the motivation he needed for a stellar senior season. Ohio snagged a good one with the last pick of the first round. That’ll do it for the rapid reaction. Keep enjoying these guys as they play out their final seasons in college, and be excited that we get to witness plenty more lacrosse from them.